Diane Andrews, PhD, RN is coordinator of the master’s in Nursing Leadership and Management program and the Doctor of Nursing Practice Nurse Executive program. 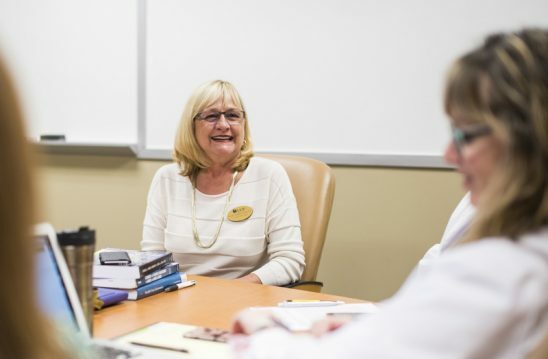 Diane Andrews, an associate professor at the UCF College of Nursing, has been elected to serve as secretary and bylaws chair of CGEAN. Formerly known as the Council on Graduate Education for Administration in Nursing, the national organization today has more than 200 members and an expanded focus dedicated to advancing leadership education and research for undergraduate and graduate nurses. As secretary, Andrews will serve as the board liaison to communication task forces, and serve as corresponding and recording secretary at meetings. As chair of the Bylaws Committee, she will review and provide recommendations for changes to the organization’s bylaws. Andrews has been a member of CGEAN since 2011 and most recently served as co-chair of the planning committee for the biennial International Nursing Administration Research Conference. In addition to CGEAN, Andrews is a member of several other professional organizations dedicated to advancing health care and nursing. These include the American Association of Colleges of Nursing, American Nurses Association, Southern Nursing Research Society and American Organization of Nurse Executives. Other leadership roles include the Florida Center for Nursing Research Council, the Florida Organization of Nurse Executives Research Committee and treasurer of the Theta Epsilon Chapter of Sigma Theta Tau International. Andrews is an on-site evaluator for the Commission of Collegiate Nursing Education, a founding trustee and member of the finance committee at Adventist University of Health Sciences, and a board member of the Florida Hospital Foundation. A faculty member at the college for more than 10 years, Andrews is currently coordinator of the master’s in Nursing Leadership and Management program and the Doctor of Nursing Practice Nurse Executive program.